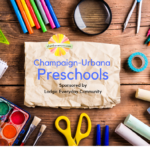 Welcome to the annual Champaign-Urbana Area Preschool Guide! Looking for a preschool? This guide will help you find the best fit for your family.